I originally wanted to extend this userscript, but I figured that this could be useful for broader applications. For example, a have-list on steam trades with steam links to the game, or a indie bundle page with steam links to the games. It is fully compatible with my Have List Filter userscript. All it does it check each web page for links to store.steampowered.com/app and store.steampowered.com/sub, check if you own or wishlisted it and display a little icon. Why do I keep getting popups? The part of Steam API I am using is quite buggy. Just make sure you are logged in to steam in your web browser and visit this page and refresh until you can see all your data is loaded (you will see this if it is not loaded). Added support for trading cards icon. Added support for games that were removed or delisted on Steam. Implemented caching of data and added support for dynamically generated content. Here have a bump :) btw it's a good idea to add a screenshot. Works well now. Thank you. Just installed both. Thanks for the scripts! Thank you for whitelisting me! Alright, using the main topic like you said. You should totally have this one match the other one with the icons in the front of the link/title (and use the same icons) just for consistency. It also makes more sense to have it in the front because the length of the titles can get fairly long - having them all in one uniform row is much easier to read. My only other suggestion (for both) would be to have a per-user file where you can omit certain games (aka I'm never going to want Absconding Zatwor, having a like gray minus sign or something for not interested would help a lot. That being said, this seems quite different from what you're currently doing, not sure how feasible it is. I made the other script as generic as possible, but I could make an option to have it more compatibility with this script / steamgifts. A game blacklist functionality should be possible. Glad you like the scripts. personally i didn't care for it checking every page on the internet i went to. so i dropped the @include and added 3 @match's instead. Thanks for this. I didn't like it checking page either. Hmm, does http://store.steampowered.com/dynamicstore/userdata/ include 402710? That's odd. And the error occurs to a link pointed to http://store.steampowered.com/app/402710? So the heart shows here, but the cross on steamtrades? Are you sure it's the same link? Please double check. Glad everything is sorted out. And thanks for the free bump! I prefer to also check images. Sometimes image link is the only one available. I could make a case distinction for it though and maybe add a green or red border to the image or something. I am planning on updating this anyway. I want to remember the data from dynamic store user data, for when it's not available. This is awesome, Royalgamer06. Thank you very much.. Sorry, I'd have to reject your request for that. That's not my purpose of this script. Can you add an example screenshot to this thread as to how this addon looks? Hmm, sure. 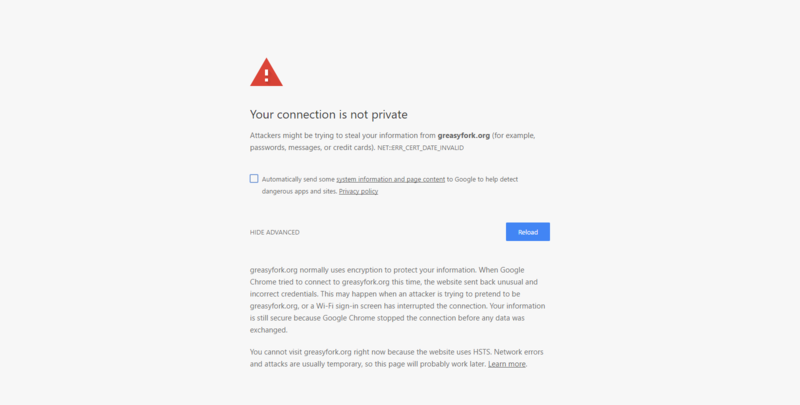 There was already a screenshot on the greasyfork page. I actually was surprised to see that it wasn't yet added here. Just wanted to say that this script is amazing at what it does before I forget again. Very much a time saver for me. Thank you very much for sharing. Edit: Now we just have to force everyone to include actual Steam store links on their store pages. I really don't understand why so many doesn't do this already. Installed both - extension and script, but nothing happens. Do I need to modify the script? No it should work. Visit http://store.steampowered.com/dynamicstore/userdata/ and tell me what you see. Fixed. It would be awesome if it would check not only by link, but also by game title. I don't think that would be possible. I'd have to evaluate the content for every page you visit and check for potential steam titles and then I wouldn't able to check if owned for every app, as api.steampowered.com/ISteamApps/GetAppList/v2 doesn't list all apps. Seems I didn't actually update it on GreasyFork. The new version is now available! Please check it out! Yeah, you're right. Anyway, how is the script for you? V1.3.3 The data from steampowered dynamicstore userdata will now be always up-to-date + improved the app/sub link detection. Note to readers: userdata does not list 'followed' apps, so they can't have an extra icon. 1.3 and later breaks it for me. I have to revert back to 1.2.1 for it to work. Can't figure out why. Same for Firefox and Chrome. Define "breaks". And what does the console log say (F12 -> Console)? Dear Royalgamer06, thanks for such life easing script and being so productive. Since "Luckz" also asked for similar and not got answered, I examined your code a bit with my basic programming knowledge to how to implement Not Interested like others since it is in userdata and come up with these additions for a local copy: (dots are skipped codes to not clutter modified lines). html = "<span style='color: WISHCOLOR; cursor: help' title='Game or DLC wishlisted on Steam\nLast cached: " + lcs + "'> " + wishlistIcon + "</span>"; //? html = "<span style='color: IGNOREDCOLOR; cursor: help' title='Game or DLC ignored on Steam\nLast cached: " + lcs + "'> " + ignoredIcon + "</span>"; //? html = "<span style='color: NOTINTCOLOR; cursor: help' title='Game or DLC not owned on Steam\nLast cached: " + lcs + "'> " + unownedIcon + "</span>"; //? And to my luck and your good written code, it works as I tried in https://steamdb.info/sales/ page with lots of entries. So I wrote this here if you are interested adding it for v1.4.6 and didn't pastebin since code is yours. If you do not like these to be posted here either, drop a comment so I'll edit (delete) from here. Thanks again for great code. Times like these I wish all my userscripts were on GitHub, which can handle these type of stuff better. Anyway, good job on adding functionality to the code! However, I already discussed this with Luckz, uses of IgnoredApps can vary. For example, you took for granted that ignored apps can not be also wishlisted, but actually they can. Same goes for owned and unowned apps. Ignored apps is kinda its own separate thing, whereas a game can either be owned, unowned, or wishlisted (and unowned). So, then we have to add a second icon for ignored apps. Finally I think there should be an option to not consider ignored apps at all, like it was before. Anyway, if you considered these things, I'd be glad to use your code and thanks for the interests! Thanks for pointing those out. Well it was a continuation of your code which I skipped to think of precedence or mutual existence. And GitHub really would be great for you at least for collecting and having a page of your own for your codes. But considering what they meant, using "Ignored" in combination with 'Wishlist' is pointless since I use that temporarily to remind myself, 'I should unwish that game later'. Also extending that logic, Ignored + Owned can mean 'remove this game from library later'. But those combinations are not normally used by most since unless there is a special meaning, it would be useless to mark a game that is either owned or wishlisted by "Not Interested" too. Even if there would be something else I couldn't foresee than precedence can take over like Own > Ignored > Wishlist considering script helps us about buying a game or not. html = "<span style='color: green; cursor: help' title='Game or DLC owned on Steam\nLast cached: " + lcs + "'> " + ownedIcon + "</span>"; //? html = html + "<span style='color: red; cursor: help' title='Game or DLC ignored on Steam\nLast cached: " + lcs + "'> " + ignoredIcon + "</span>"; //? html = "<span style='color: blue; cursor: help' title='Game or DLC wishlisted on Steam\nLast cached: " + lcs + "'> " + wishlistIcon + "</span>"; //? html = "<span style='color: red; cursor: help' title='Game or DLC ignored on Steam\nLast cached: " + lcs + "'> " + ignoredIcon + "</span>"; //? html = "<span style='color: orange; cursor: help' title='Game or DLC not owned on Steam\nLast cached: " + lcs + "'> " + unownedIcon + "</span>"; //? to let user change all settings at once only by editing the top most const. Bump for this great script! :) Works everywhere as long as there is a Steam Store URL (and the website is not to terrible styled). Great work! Works nice on steamtrades, DIG, IndieGala, Groupees and eve on TremorGames, but for some reason on BundleStars and chrono it doesn't work unless i manually update the line with steamstore url.